This shogunate saw the Ashikaga family dominate Japanese society, ruling for much of the period from their headquarters in the Muromachi district of Kyoto. 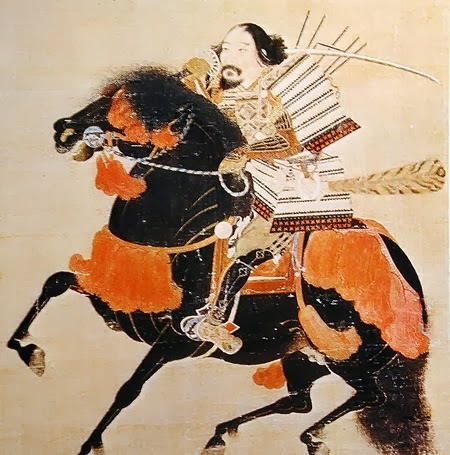 As a result the shogunate, or bakufu (“tent government,” in effect a military dictatorship), with military power controlled by the seii tai shogun or shogun (“general who subdues barbarians”)—is called either the Ashikaga or the Muromachi Shogunate. The Ashikaga Shogunate lasted from 1336 until, officially, 1588, although the last of the family was ousted from Kyoto in 1573, and it did not have much military power after the 1520s. The period when the Ashikaga family dominated Japanese politics reached its peak when Ashikaga Yoshimasa (1436–90) held the hereditary title of shogun (military dictator) of Japan from 1449 to 1473, although the last years of his shogunate were dominated by a succession of crises leading to the Onin War (1467– 77). Yoshimasa’s period as shogun—or, strictly speaking, the time after his abdication—represented an important period for the development of Japanese fine arts. The Ashikaga was a warrior family that had been prominent in Japanese society since the 12th century, when Yoshiyasu (d. 1157) took as his family name that of their residence in Ashikaga. They trace their ancestry back further to Minamoto Yoshiie (1039–1106), also known as Hachiman Taro Yoshiie, the grandfather of Yoshiyasu. From the Seiwa Genji branch of the famous Minamoto family, he was one of the great warriors of the Later Three Years’ War that raged from 1083 to 1087. Yoshiyasu’s son took an active part in the Taira-Minamoto wars of 1180–85, and six generations later Ashikaga Takauji became the first shogun, from 1338 to 1358. This came about after Emperor Go-Daigo (r. 1318–39) was exiled to the Oki Islands after being accused of plotting against the Kamakura Shogunate that controlled the army. The emperor rallied some loyal forces with the aim of ending the dominance of the Kamakura family. 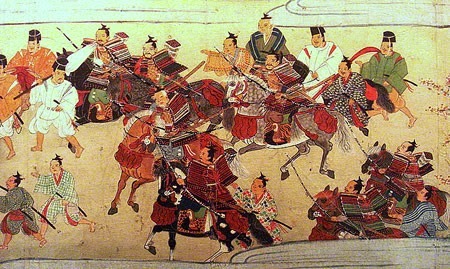 The emperor put his troops under the command of Ashikaga Takauji and sent them to the central provinces. The choice of Takauji was interesting, as he had taken part in plots against the shogunate in 1324 and again seven years later. Put in charge of an army to defeat the enemies of the shogun, Takauji changed sides and decided to support the emperor. He took Kyoto and ousted the shogun, ushering in what became known as the Kemmu Restoration. However, rivalries quickly broke out between Takauji and another warlord, Nitta Yoshisada. By this time the prestige of the throne was suffering after major administrative failures had clearly resulted in Go-Daigo being unable to protect his supporters. Takauji led his men to Kyoto, which he captured in July 1336, forcing Emperor Go-Daigo to flee to Yoshino in the south. In 1338 Takauji established what became known as the Ashikaga (or Muromachi) Shogunate, based in Kyoto. Takauji controlled the army and his brother Ashikaga Tadayoshi controlled the bureaucracy, with additional responsibility for the judiciary. The shogunate initially resulted in a split in the imperial family, with the Kyoto wing supporting it and Go-Daigo and his faction ruling from the southern court at Yoshino. This continued until 1392 when the policy of alternate succession to the throne was reintroduced. After a short period of stability, there was an attempt at an insurrection by Ashikaga Tadayoshi, who seized Kyoto in 1351. Takauji was able to drive him out, and Tadayoshi fled to Kamakura. Takauji established a “reconciliation,” during which Tadayoshi suddenly died, probably from poisoning. This left Takauji in control of the north, but he died in 1358 and was succeeded by his son Yoshiakira (1330–67), who was shogun until his death in 1367. There was then a short period with no shogun. When Ashikaga Yoshimitsu (1358–1408) became shogun in 1369, a position he held until 1395, he was able to develop a system by which families loyal to him held much regional power, and the office of military governor was rotated between the Hosokawa, Hatakeyama, and Shiba families. Yoshimitsu may have been planning to start a new dynasty. This theory comes from the fact that he was no longer administering territory in the name of the sovereign. Certainly he did try to break the power of the court nobility, occasionally having them publicly perform menial tasks. When he went on long pilgrimages, he took so many nobles with him that the procession, to many onlookers, seemed to resemble an imperial parade. Yoshimitsu was able to build a rapport with Emperor Go-Kogon. His main achievement, involving considerable diplomatic skill, was to end the Northern and Southern Courts by persuading the southern emperor to return to Kyoto in 1392, ending the schism created during his grandfather’s shogunate. 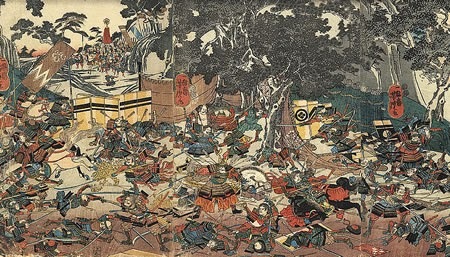 Yoshimitsu also had to deal with two rebellions—the Meitoku Rebellion of Yamana Ujikiyo in 1391–92 and the Oei Rebellion of 1400 led by Ouchi Yoshihiro (1356–1400). Ouchi Yoshihiro had relied on support from pirates who had attacked Korea and also, occasionally, parts of China, but his rebellion came about when he did not want to contribute to the building of a new villa for the shogun. He had long harbored resentment against the Ashikaga family, and in some ways the villa was merely an excuse for war. However, very quickly Ouchi Yoshihiro was betrayed by people he thought would support him, and after he was killed in battle, the rebellion ended quickly. In order to ensure an easy succession Yoshimitsu abdicated the office of the shogun to his son Ashikaga Yoshimochi (1386–1428), who was shogun from 1395 to 1423, while he, himself, remained in Kyoto, where he made vast sums of money monopolizing the import of copper needed for the Japanese currency and negotiating a trade agreement with China in 1401. 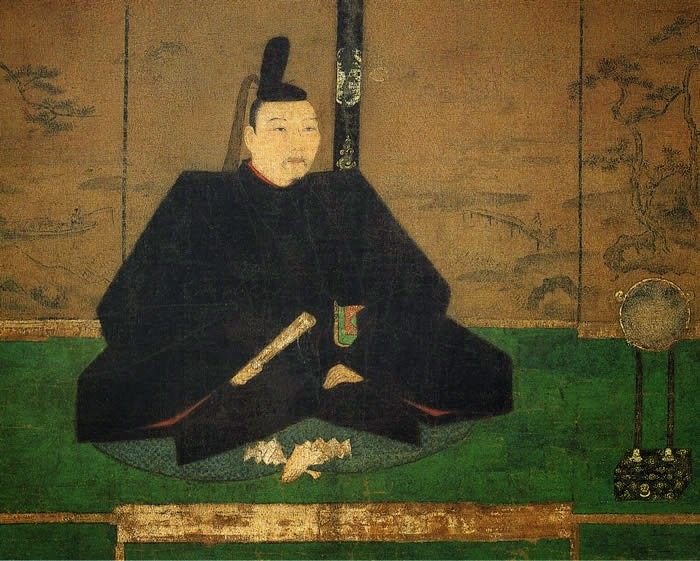 He also created a minor controversy by sending a letter to the Ming emperor of China, which he signed with the title “king of Japan.” In his latter years Yoshimitsu became a prominent patron of the arts, supporting painters, calligraphers, potters, landscape gardeners, and flower arrangers. Many of the artists that Yoshimitsu encouraged became interested in Chinese designs and were influenced by their Chinese contemporaries—this became known as the karayo style. The system of control established by Yoshimitsu continued under Ashikaga Yoshimochi, and his son Yoshikazu (1407–25), who was shogun from 1423–25. However, it was also a period when the Kanto region of Japan started to move out of the control of the shogunate. Yoshikazu’s uncle Yoshinori (1394–1441) succeeded him, taking over as shogun in 1428. Yoshinori had been a Buddhist monk from childhood and ended up as leader of the Tendai sect, having to give up the life of a monk when his nephew died. Because of his background, he was determined to establish a better system of justice for the poorer people and overhauled the judiciary. He also strengthened the shogun’s control of the military, making new appointments of people loyal to the Ashikaga family. 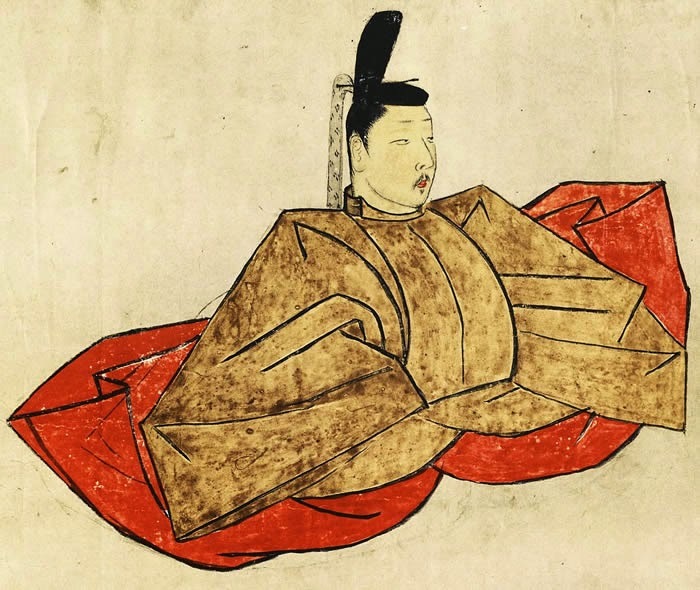 Many nobles disliked him because he was seen as aloof and arrogant, and in 1441 a general from Honshu, Akamatsu Mitsusuke, assassinated Yoshinori. In what became known as the Kakitsu incident, Akamatsu Mitsusuke was hunted down by supporters of the shogunate and was forced to commit suicide. 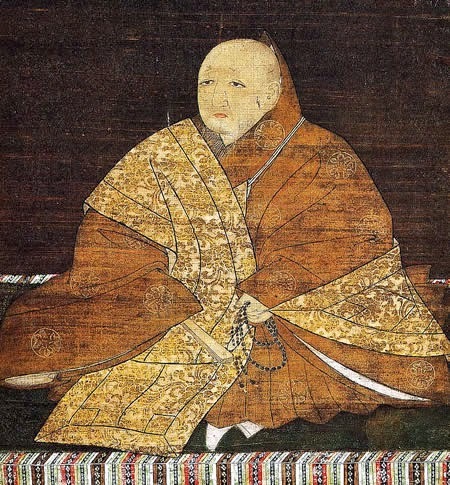 Yoshinori’s oldest son, Yoshikatsu (1434–43), succeeded him and was shogun for only two years. With his death, there was no shogun from 1443 to 1449, when Yoshikatsu’s 13-year-old brother, Ashikaga Yoshimasa, became shogun. Ashikaga Yoshimasa was born on January 20, 1436, at Kyoto, and when he became shogun, the shogunate was declining in importance with widespread food shortages and people dying of starvation. Yoshimasa was not that interested in politics and devoted most of his life to being a patron of the arts. He despaired of the political situation, and without any children, when he was 29 years old he named his younger brother, Yoshimi (1439–91), as his successor and prepared for a lavish retirement. However, in 1465 he and his wife, Hino Tomiko, had a son. His wife was adamant that the boy should be the next shogun, and a conflict between supporters of the two sides—that of Yoshimasa’s wife and that of his brother—started in 1467. Known as the Onin War, most of the fighting took place around Kyoto, where many historical buildings and temples were destroyed and vast tracts of land were devastated. More important, it showed the relative military impotence of the shogun, and the power of the military governors, and quickly changed from being a dynastic squabble to being a proxy war. It then became a conflict between the two great warlords in western Japan, Yamana Mochitoyo, who supported the wife and infant son, and his son-in-law, Hosokawa Katsumoto, who supported Yoshimi. Both died during the war, and there was no attempt by either side to end the conflict until, finally, exhausted by the 10 years of conflict, in 1477 the fighting came to an end. By this time Yoshimasa, anxious to avoid a difficult succession, had stood down as shogun in 1473 in favor of his son. His son, Yoshihisa, was shogun from 1474 until his own death in 1489, whereupon, to heal the wounds of the Onin War, Yoshimasa named his brother’s son as the next shogun. Yoshimi’s son, Yoshitane (1466–1523), was shogun from 1490 until 1493. In retirement, Yoshimasa moved to the Higashiyama (Eastern Hills) section of Kyoto, where he built a villa that later became the Ginkakuji (Silver Pavilion). There he developed the Japanese tea ceremony into a complicated series of ritualized steps and was a patron to many artists, potters, and actors. This flowering of the arts became known as the Higashiyama period. Yoshimasa died on January 27, 1490. From the shogunate of Yoshitane, the family was fast losing its political power. Yoshitane’s cousin Yoshizumi (1480–1511) became shogun from 1495 to 1508 and was succeeded, after a long interregnum, by his son Yoshiharu (1511–50), who became shogun in 1522, aged 11, and remained in that position until 1547. His son Yoshiteru (1536–65) succeeded him from 1547 to 1565, and, after his murder, was then succeeded by a cousin, Yoshihide (1540–68), who was shogun for less than a year. Yoshiteru’s brother Yoshiaki (1537–97) then became the 15th and last shogun of the Ashikaga family. He had been abbot of a Buddhist monastery at Nara, and when he became shogun renounced his life as a monk and tried to rally his family’s supporters against a sustained attack by Oda Nobunaga. In early 1573 Nobunaga attacked Kyoto and burned down much of the city. In another attack in August of the same year, he was finally able to drive Yoshiaki from Kyoto. Going into exile, in 1588 Yoshiaki formally abdicated as shogun, allowing Toyotomi Hideyoshi to take over. He then returned to his life as a Buddhist priest. In at least its last 50 years—and arguably for longer—the shogunate had become ineffective, and warlords had once again emerged, often financing their operations by not only pillaging parts of Japan itself but with piratical raids on outlying parts of Japan and Korea. The Ashikaga Shogunate remains a controversial period of Japanese history. During the 1930s Takauji was heavily criticized in school textbooks for his disrespect to Emperor Go-Daigo. Many historians now recognize him as the man who brought some degree of stability to the country. The attitude toward Yoshimasa has also changed. Because he concentrated so heavily on the arts, he neglected running the country. He is now recognized as heading an inept administration that saw great suffering in much of Japan. It would lead to a period of great instability that only came to an end when Tokugawa Ieyasu became shogun in 1603. Jewry suffered a reversal of fate during the High Middle Ages that can only be compared to the destruction of Jerusalem 1,000 years before and the oppression by Nazis 1,000 years after. The turning point in the Middle Ages can be located in the pogroms carried out in May 1096 by gangs and mobs en route to the First Crusade. These events signaled that the stability that Jews enjoyed under Western Christendom during the first millennium was about to end. There were telltale signs that things were about to change in the century before the First Crusade. Jews were accused of colluding with the Muslims to destroy the Church of the Holy Sepulcher in Jerusalem, undertaken in fact by the mad Caliph Hakim in 1009. For another thing, a pre-crusade campaign to cast out the Saracens from Spain in 1063 revealed that Jews did not take up the fight alongside of the Christian soldiers. In fact, Jews had prospered and integrated well under the Umayyads of Spain. When Pope Urban II issued the summons to fight for the Holy Land, the first to respond in France and Germany were paupers and peasants who had been stirred up by monks and preachers. The church hierarchy did not effectively counter a populist piety that the killing of Jews expiated sins and atoned for the crucifixion of Christ. Mobs also felt that Jews were legitimate targets because they lived within Christendom and constituted an immediate threat, whereas the Muslims were far away. 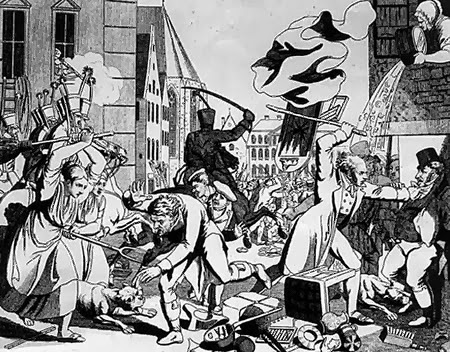 The first pogroms broke out in Rouen in French Lorraine. Jews were forced into baptism or slaughtered. Though warnings were sent out from France to beware the onslaught of the mobs, the German Jews dismissed them and trusted in their fellow countrymen. When Peter the Hermit and Walter the Penniless led their forces there, their brutal intentions were quickly made known. Though many bishops and priests tried to protect them, it is estimated that up to 10,000 Jews who lived in settlements around the Rhine and Danube Rivers perished. Cities affected included Treves, Meuss, Ratisbon, and Prague. The more disciplined crusader armies took anti-Semitism with them into the Holy Land when they finally arrived and burned Jews in their synagogues. Later crusades did not witness the same degree of bloodshed against Jews in Europe. Nonetheless, the earlier massacres unleashed bitterness and tension between the two religious groups, especially evident among the intellectuals and hierarchy, for the next few centuries. When the Second Crusade was proclaimed, Pope Eugenius III (1145–53) suggested that Jewish moneylenders cancel the debts of Christian crusaders. Influential abbot Peter of Cluny wrote Louis IX of France that European Jews finance the war effort. A French monk named Radulph traveled around Germany— without his monastery’s approval—preaching that the Jews were the enemies of God. At the risk of his life, the saintly and respected Bernard of Clairvaux confronted and condemned Radulph but still urged that Jews not collect interest on crusaders’ debts. Since Jews could not count on the protection of the church, they were forced to accept a special legal status in the eyes of the civil government. This new identity meant that Jews now were quarantined in ghettos, bound to wear badges or unique clothing, and even kept from reading the Talmud. By the end of the Middle Ages, western European Jewry was in ruins, and Jews fled eastward to Poland and Russia. St. Thomas Aquinas was born at Roccasecca, Italy, to Count Landulf and Countess Theodora. From early on, Thomas was diligent in his studies and had a meditative mindset. He received his education from the monastery of Monte Cassino and the University of Naples. Thomas entered the Dominican Order and then studied in Paris from 1245 under the well-known philosopher Albertus Magnus (1195–1280). He spent 10 years visiting Italy, France, and Germany. In 1248 he lectured on the Bible at a college in Cologne, Germany. He was in Paris from 1252 c.e., eventually becoming a professor of theology and writing books. He was awarded the degree of doctor in theology in 1257. Between 1259 and 1268 he lectured as professor in the Dominican covenants of Rome and Naples. Thomas also worked at the papal court as an adviser. He was a well-known figure by the time he came to Paris in 1269. His intellectual inquiries about the relationship between philosophy and theology made Thomas a controversial figure. His Scholasticism made him an avid reader of works pertaining to Christian theologians, Greek thinkers, Jewish philosophy, and Islamic philosophy. Thomas wrote his first book as a commentary on Sentences, a seminal book on theology by Peter Lombard (1095–1161). Aristotle (384–322 b.c.e.) influenced him greatly, and his comments on Sentences contained about 2,000 references to Aristotle. Critics also associate Thomas with the doctrine of Averroës (1126–98), distinguishing between knowledge of philosophy and religion. The Dominicans sent Thomas to Naples in 1272 to organize a studium generale (a house of studies). The pope had asked him to attend the Council of Lyon on May 1, 1274, and to bring his book Contra errores Graecorum (Against the errors of the Greeks). In spite of his deteriorating health, he started the journey in January. 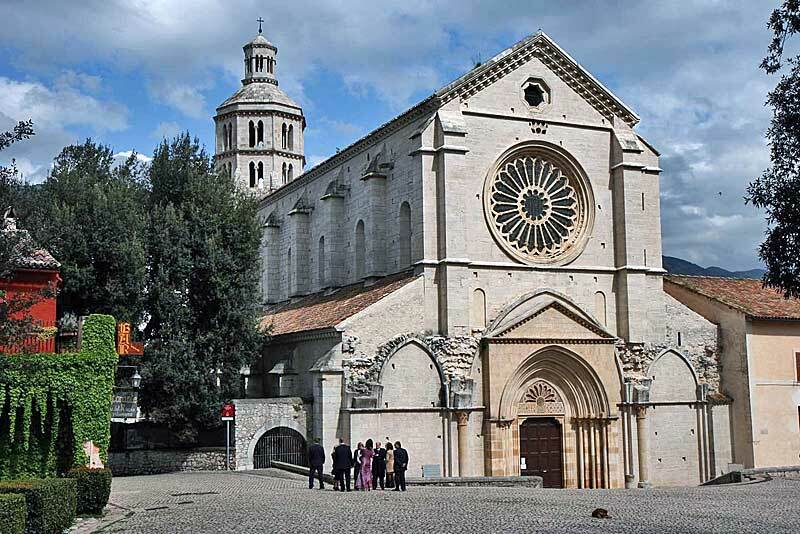 He died on his way there on March 7, 1274, at the Cistercian abbey of Fossanova. In Christian theology the 13th century was an important time, as two schools of thought were raging with controversy. The Averroists separated philosophical truths from faith. They did not believe in divine revelations and believed that reason was paramount. The Augustinians gave faith the predominant position. For Thomas both reason and faith were important. Both were complementary to each other, and the nature of their relationship did not conflict. He believed that the truths of philosophy and religion were gifts from God. The moderate realism of Thomas postulated that both the medium of thought and that of the senses led to knowledge of the intelligible world or the universal. Thomas was a sharp thinker, combining philosophical truths with theological postulations. His natural law accommodated the divine law. He synthesized Christian theology with the philosophy of Aristotle, the Stoics, and Ibn Rushd. Thomas was a prolific writer, penning 60 works. His manuscripts were preserved in the libraries of Europe, and multiple copies came out after the invention of printing. The first published work of Thomas was Secunda Secundae (1467). The Summa Theologica , one of his best-known works, was also printed. It brought out great debate between the rational inquiry of Thomas and the Catholic doctrines. He defended the Christian faith in Summa de veritate catholicae fidei contra gentiles (Treatise on the truth of the Catholic faith against unbelievers). In the Quaestiones disputatae (Disputed questions), he gave his opinion on various topics. The pernicious theory that there was only one soul for all persons was refuted brilliantly in De unitate intellectus contra Averroistas. He proved in Opusculum contra errores Graecorum that the Holy Ghost proceeded from the Father and the Son. His deep knowledge of the fathers of the church was found in Catena Aurea . 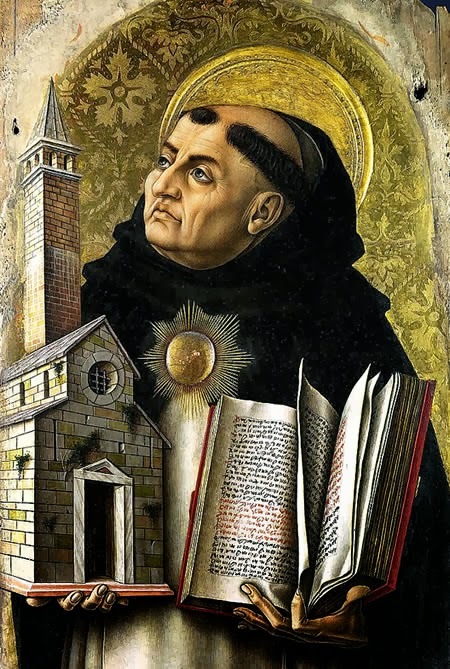 Pope John XXII canonized Thomas Aquinas on July 18, 1323. In 1567 he was made a Doctor of the Church. The Summa Theologica became the standard textbook in theology in the syllabus of universities all over Europe. There was renewed interest in his writings after the papal bull of 1879. Leo XIII, in his Providentissimus Deus (November 1893), took the principles behind his criticism of the sacred books from Thomas. St. Thomas Aquinas was the “Christian Aristotle” who wielded immense influence on future popes, universities, and academia. He combined the best of faith and reason with a careful synthesis. 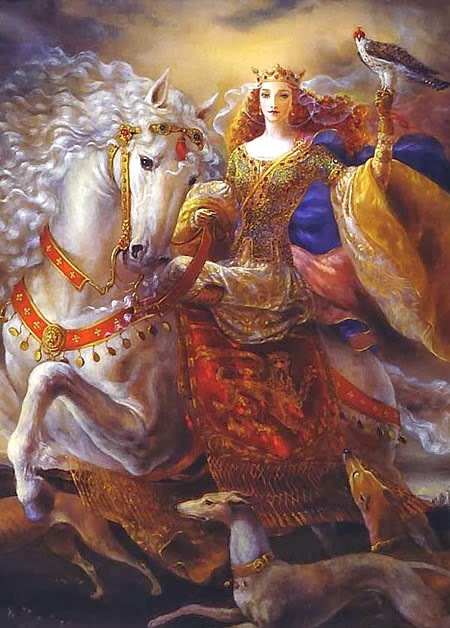 Eleanor of Aquitaine was born in 1122 to William X, duke of Aquitaine and count of Poitou, and Aenor, daughter of the viscountess of Châtellerault. At the death of her younger brother, Eleanor became the wealthy heiress of Aquitaine. Groomed by her father, she frequently accompanied him on trips throughout his lands as he administered justice and faced down rebellious vassals. On his deathbed in April 1137, William entrusted her to his feudal lord, the Capetian monarch Louis VI, to arrange her marriage, which he did to his 17-year-old son and heir Prince Louis. When Louis VI died in August 1137 the young prince became King Louis VII of France and Eleanor his queen. The two were ill-matched. Louis, as the second son, had originally been groomed for a career in the church. Eleanor had been raised in one of the most sophisticated households in all of Europe. Her grandfather William IX is credited with creating the literary genre of courtly love and had welcomed minstrels, poets, and troubadours to his court. Eleanor was frequently able to convince Louis to intervene in affairs that concerned her own interests, to the detriment of the crown. All of this might not have mattered had Eleanor been able to provide Louis with a male heir who would have inherited the lands of both his parents. Unfortunately Eleanor bore Louis only two daughters, Marie and Alix. The breaking point in their marriage occurred during the Second Crusade, which both Eleanor and Louis agreed to undertake in 1146 in response to the preaching of St. Bernard of Clairvaux. Their goal was to rescue the crusader-state of Edessa that had fallen to the Muslims. Presumably Eleanor’s offer of a thousand knights from Aquitaine and Poitou had helped to assuage misgivings about allowing her and numerous other noblewomen to accompany Louis and his warriors on their journey. In March 1148 the French army arrived at Antioch, just to the southwest of the kingdom of Edessa. Here Louis and Eleanor were greeted by the queen’s uncle, Raymond of Poitiers, ruler of the principality. Rumors began to circulate about an affair between Eleanor and her uncle. When Louis rejected Raymond’s strategically sound plan of taking back Edessa in favor of marching on Jerusalem, Eleanor exploded against the king, and demanded that their marriage be annulled. Although Louis wrenched her away from Antioch and forced her to march southward on Jerusalem, their marriage was over. The two boarded separate ships and sailed for home in 1149–50. In 1152 their marriage was annulled on grounds of consanguinity, and Eleanor regained control of her lands. Later in 1152 she married the 18-year-old count of Anjou, Henry Plantagenet, whose extensive land holdings in France also included the duchy of Normandy and the counties of Maine and Touraine. Their marriage created a formidable counterweight to the authority and power of Louis VII of France. Moreover, in 1154 Henry made good his claim to the English throne through his mother Matilda. In December 1154 Eleanor was crowned queen of England, consort to Henry II (1154–89) of the house of Plantagenet. Over the next 13 years Eleanor bore Henry five sons and three daughters, two of whom, Richard (1189–99) and John, (1199–1216) would rule England. Initially Eleanor played a substantial role in administering their combined lands in France while Henry secured England, but as his power and authority grew, he had less use for his independent-minded queen. Disenchanted with Henry and perturbed by his numerous affairs, Eleanor left England with her two sons Richard and Geoffrey for Poitiers in 1168. Here over the next several years she established a flourishing court that became a cultural center for troubadours and poets singing of courtly love. Meanwhile Richard and Geoffrey increasingly chaffed at their father’s unwillingness to give them real authority in ruling lands that they nominally held. They joined their older brother Henry in revolting against Henry II in 1173, with Eleanor’s backing. Henry crushed this revolt, and for her part in it, he placed Eleanor under close house arrest in England for the next 16 years. When Henry died in 1189 Eleanor resumed her active role in political and familial affairs. In 1189 her favorite son, Richard, became king of England, and when he departed on the Third Crusade in December of that year, he left Eleanor as regent in England. On his return from the crusade in 1192 Richard fell into the hands of his enemy the German emperor Henry VI (1190–97), and Eleanor took charge of raising his ransom and negotiating his release. When Richard died in 1199 she supported her youngest son, John, as his successor, undertaking a diplomatic mission to the court of Castile, and coming to his aid when war broke out between him and Philip II Augustus, king of France, in 1201. She died in March 1204 at the age of 83 and is buried alongside Richard and Henry in the nunnery at Fontevrault in Anjou. Known as doctor mirabilis (“wonderful teacher”), Roger Bacon was born to wealthy parents at Ilchester, Somersetshire, England in 1214. He was educated at Oxford and later went to Paris in 1235. Bacon was proficient in arithmetic, astronomy, classics, geometry, and music. After receiving his master of arts, he lectured on Aristotle. Between 1247 and 1257 he was deeply involved in study of alchemy and mathematics. He did not believe in claims made by contemporaries and loved doing scientific experiments. He argued strongly for his beliefs. Some give him credit for laying the foundation of modern science three centuries later. Bacon gave hints for making gunpowder. His experiments on the nature of light were notable. He observed the eclipses of the Sun by means of a devise that projected images through a pinhole. A practicing alchemist, Bacon believed in the elixir of life and also tried to create the philosopher’s stone (which would change base metals into gold). His powers of observation led him to anticipate later inventions like flying machines, spectacles, steam ships, and microscopes. Bacon was greatly influenced by the Franciscans in his student days and entered the Franciscan order in 1255. Bacon had contempt for those not sharing his views, and criticized them harshly. His works were banned by superiors, who directed their members not to publish anything without permission. He appealed to Pope Clement IV against this prohibition and it was revoked in 1266. Within two years he finished a three-volume work, with volumes entitled Opus Majus (great work), Opus Minus (lesser work), and Opus Terilium (third work). Clement IV was a supporter of Bacon, but after his death in 1268, Pope Nicholas IV condemned his ideas. The friars, having different views from their superiors of the Franciscan order, were put behind bars. Bacon was imprisoned in the covenant of Ancona, Italy around 1278. After 12 years he was released, and returned to England. Bacon had not changed his convictions in prison. He wrote about his sufferings in 1293 in his last book entitled Compendium studii theologiae. Some scholars do not believe that Bacon was really imprisoned. Bacon held his views in spite of adverse circumstances. One of the greatest scholars, he was against subscribing to preconceived notions. Bacon tried his best to urge theologians to study the sciences, and called for reform in the study of theology. He recommended the study of language in order to read original documents. Bacon saw the Bible as the focus of attention, and not a minor distinction in philosophical discourse. 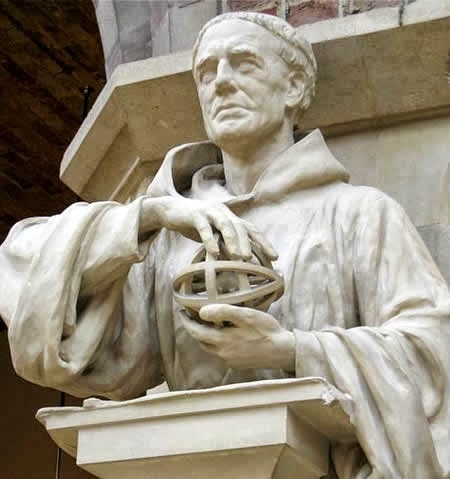 The medieval monk and proponent of experimental science died at Oxford on June 11, 1294, a legendary figure in the world of scholarship and science. The Abbasid dynasty founded the city of Baghdad as a new capital in 762, shortly after the overthrow of the Umayyad dynasty. This shift of the center of power in the Muslim world from Syria toward the Abassid support base in Persia allowed the young dynasty to establish its dominance under the leadership of the caliph, al-Mansur. However, the move from Syria also saw the caliphate’s influence in Mediterranean affairs decline and rival dynasties emerge as far away as Spain, where the Umayyad dynasty regrouped, and as near as Egypt, from where the Fatimid dynasty dominated much of North Africa from the 10th through the 12th century. The first two centuries of Baghdad’s history were marked by political strife as the Abassids repressed revolts; the dynasty underwent civil war from 811 to 819. During this civil war the caliph Amin besieged the city. Despite this unrest, Baghdad found itself at the center of a Muslim cultural golden age during these centuries. In the 940s a group of soldiers, the Buyid princes, who had been gaining in strength for a decade, took power in Baghdad; lacking legitimate claim to rule, they become protectors of the caliphate and ruled through Abbasid puppet caliphs. In 1055 the Seljuk Turk Toghrulbeg came to Baghdad and ultimately relieved the caliph of the Buyid protectorate. Toghrulbeg was named sultan, and the caliph was again reduced to little more than a puppet. But the Seljuk leader’s ambitions led him to rule from outside of Baghdad, visiting only on occasion, and this would give future caliphs at least some small measure of freedom. The Crusades and internal turmoil challenged the Seljuks’ control of the region, and the caliphs began to challenge their overlords. The breakup of Turkish rule in the late 12th century saw a renewal on a regional scale of the city’s importance, but the city and the region were continually plagued by conflicts between Sunnis and Shi’i. In faraway Mongolia, warring Turko-Mongol tribes were uniting under the leadership of one man, Temuchin. In 1206 an assembly of tribal nobility awarded him the title Genghis Khan—Universal Ruler. From central Mongolia, Genghis set out on a mission of world conquest. He immediately began consolidating his power for an attack against the Chinese kingdoms to the south, but full control of China was far off. The Mongols would invade western Asia and establish a dynasty in Iran before they unified China under their rule. During the early years of Mongol expansion Genghis Khan led armies against the sultan Ala ad-Din Muhammad, Khwarazm Shah, as a punishment for his challenge to Mongol authority in the region of Central Asia. Genghis’s punishment of the Persian leader helped establish a reputation for Mongol brutality. The caliph in Baghdad, al-Nasr, felt threatened by the onslaught against Sultan Muhammad and appealed to the Ayyubids in Syria for aid. The Ayyubids were battling the crusaders and did not send aid, but the threat of Genghis Khan never materialized. Genghis died in 1227, and Ogotai Khan, his son, succeeded him. In 1232 Mongol forces had penetrated as far as Azerbaijan, and the caliph annexed Arbela in Upper Mesopotamia, possibly as a defensive measure. 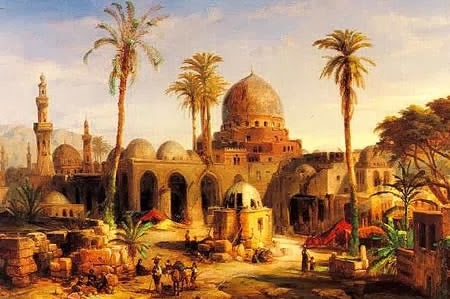 In 1236 the caliph mobilized his armies against the Mongols, who were moving south into Upper Mesopotamia, and in 1238 the caliph went to Baghdad’s great mosque and called for holy war against the invaders. This time Ayyubid reinforcements arrived, but the ensuing battle was a defeat for the caliph. The Mongols withdrew deep into Persia, and terms were reached, though raids into Mesopotamia continued with accounts of the period reporting various Mongol harassments of Baghdad. The Mongol conquest of the Middle East began during the reign of Mongke Khan. In 1252 Mongke dispatched his brother Hulagu Khan to take control of the region. Some sources suggest that the arrival of Hulagu in Azerbaijan was instigated by a mission by the Qadi of Qazvin, in an attempt to subdue the Isma’ilis, known as the Assassins for their frequent tactic of the same name. The Isma’ilis operated from their stronghold in the mountainous region of northern Iran. The repression of the Isma’ilis was one of Hulagu’s first goals. Hulagu dispatched Baichu to the west to repress the Seljuk’s in Rum, and in 1256 Mongol forces defeated the sultan and recognized his younger brother, establishing Mongol overlordship of Rum. In the same year, the Mongols completed their mission against the Isma’ilis, destroying the last of their mountain strongholds and executing their leader, Khurshah. Having secured his base and the vicinity to its west, Hulagu focused his attention on the caliphate in Baghdad. Hulagu sought to dominate both Baghdad and its caliph, despite their dramatic decline in prestige. The court of the caliph, al-Musta‘sim, was divided over how to respond. The caliph, presented with an ultimatum, could surrender—saving his life, his position, and his city—or resist. Indecision left al-Musta‘sim largely unprepared for the onslaught that would follow his disregard and disrespect of Hulagu and his armies. The Mongol forces besieged the city for several weeks before storming it on February 6, 1258. The damage to the city was extensive. Al-Musta‘sim, his sons, and much of their entourage were killed; as it was against Mongol belief to shed royal blood on the ground, the caliph was rolled into a carpet and trampled to death by horses. Al-Musta‘sim was the last Abbasid caliph of Baghdad. From Baghdad, Hulagu’s forces moved into northern Syria, taking Aleppo in January of 1260. The Ayyubid ruler in Damascus, An-Nasir Yusuf, fled his capital, and the city surrendered to Hulagu’s general Kitbuqa. Hebron, Jerusalem, and Ashkalon were raided, and various Ayyubid princes submitted to the invaders. Again, much of the Mongol army was unilaterally withdrawn to Azerbaijan, where Maragheh was chosen as the capital of the new Il-Khanate (one of four khanates of the Mongol Empire). The Ayyubids’s conquest by the Mongols marked the end of their dynasty, as they had already been replaced in Egypt by the Mamluk dynasty. General Kitbuqa remained to solidify the new conquests in Syria, while Hulagu became embroiled in the Mongol succession crisis and began to battle the Golden Horde to his north. In the eastern Mediterranean region the crusaders in Jerusalem were not prepared to surrender to the Mongols and issued calls for reinforcements to the western European kingdoms, while they temporarily tried to appease Kitbuqa. When the crusaders did not dismantle their fortresses, however, Kitbuqa retaliated, sacking Sidon in August 1260. The crusaders responded by allowing the Mamluks of Egypt to dispatch troops through their territory and even provided the Muslim forces with supplies to battle the Mongols. In September 1260 the Egyptian army defeated the Mongols in Galilee, and Kitbuqa was either killed in the battle or executed after his defeat. The Il-Khanid Mongols retreated beyond the Euphrates to their power base. Within the Il-Khanate, Hulagu and his son Abaqa would enjoy stability despite threats at the border. The Il-Khanids continued to work diplomatically against their Mamluk enemies in Syria, at times approaching the crusaders to propose coordinated attacks. In 1299 Ghazan Khan, a Muslim convert, attacked the Mamluk forces, which retreated to Egypt in defeat. Syria and Palestine were briefly reoccupied until Ghazan withdrew to Mesopotamia, and it was not until 1320 that the Mongols made peace with the Mamluks. After the death of Abu Sa‘id in 1235, the Il-Khanate disintegrated into rival, mostly non-Mongol, dynasties. The Mongol leader Timurlane emerged as a great force in the region at the end of the 14th century, regaining Mongol control of Persia and doing battle as far east as the Ottoman Empire. But Timurlane’s death in 1405 saw the Mongolian empire in Persia again disintegrate and effectively ended Mongolian influence in the region of the Middle East. The immediate and lasting effects of the Mongols in the Middle East are varied in degree. The Mongol conquest of Hulagu ended two institutions of Islamic rule, finally ending the Abbasid Caliphate of Baghdad and Ayyubid dynasty, the realm of which was already confined to Syria and parts of Palestine. This allowed Mamluk rule to fill the power vacuum. A century and a half later that power vacuum would be re-created by Timurlane’s temporary conquests and the subsequent disintegration of Mongol rule in the Middle East following his death, only to be filled by the Ottomans. Culturally, the impact of the Mongols was minimal, with the exception of Persia, to which area their lasting presence in western Asia was confined. It is in the period of the Il-Khanate that the greatest impact of far eastern culture on Persia is witnessed.